Soyuz TMA-13M will launch for the International Space Station (ISS) with Roscosmos cosmonaut Maksim Surayev, NASA astronaut Reid Wiseman and European Space Agency (ESA) astronaut Alexander Gerst in May 2014. 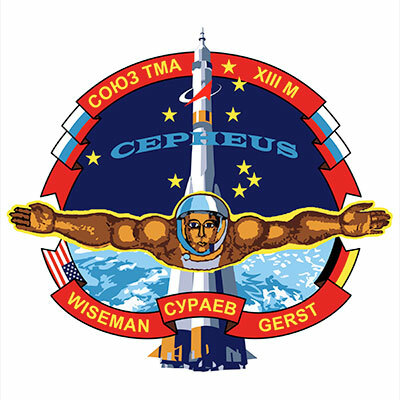 The callsign for their mission will be 'Cepheus'. Designed by Luc van den Abeelen, inspired by the so called "Fisherman" statue at Baikonur. Interesting detail: commander Max Suraev already chose this as his patch in March 2011, when he still was commander for Soyuz TMA-09M. Thanks a lot for the artist! Thanks for the explanation of "The Fisherman." At first I didn't get it, but now I find it rather unique and clever. However I assume that the star pattern is supposed to be the constellation Cepheus? 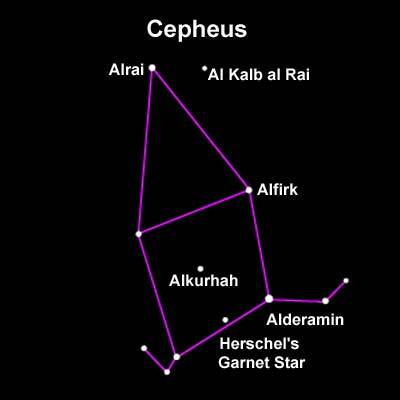 I say this because it doesn't look like any representation of Cepheus that I have ever seen. The way have also seen it like this. On the patch it almost looks more helix shaped, then a square with a triangle. Great patch, I like it very much! As always, thanks for sharing! 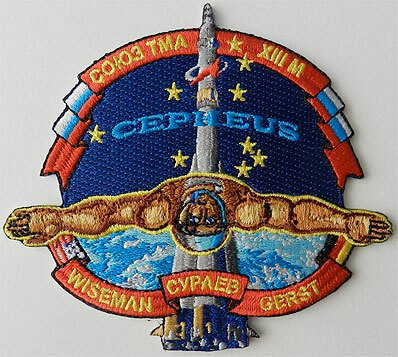 I got recently information the crew had one more version of the patch where the cosmonaut is flying upside down. That must be a rumour. That`s not a rumor. I have one of this patch. Yes, it does exist. It was a special request by Max Suraev, as a small joke, to hand out to friends and family etc. Does anyone have a good scan/photo of this patch? Any help would be most appreciated!